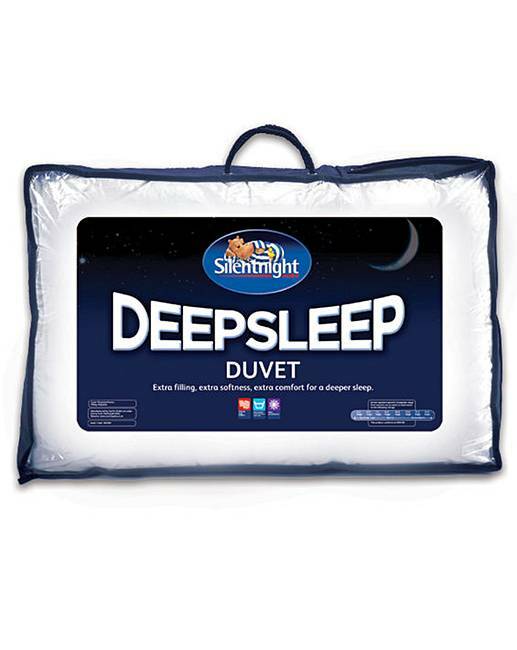 Silentnight Deepsleep Duvet 7.5 Tog is rated 4.8 out of 5 by 13. The Deepsleep range of duvets and mattress toppers from Silentnight are ideal for you to fall into a lovely sleep all night while getting cosy. 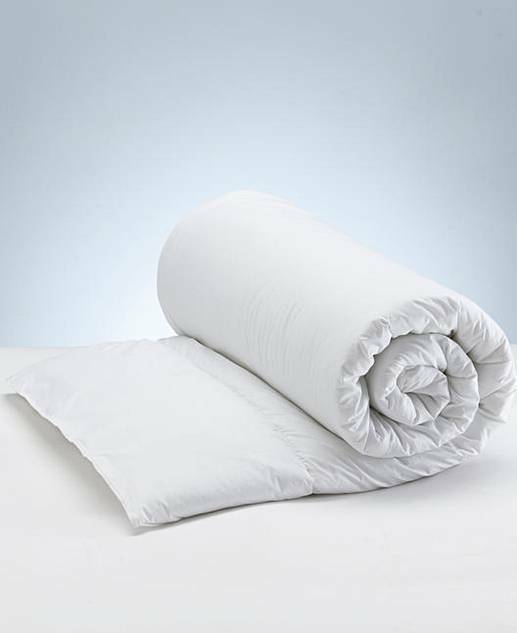 Set contains: 1 x 7.5 Tog Duvet. Plain. Easy-care and durable fabric. Single Size: 135 x 193cm/54 x 76in approx. Double Size: 198 x 196cm/77 x 76in approx. King Size: 218 x 225cm/85 x 88in approx. Cover: 70% Polyester, 30% Cotton. Filling: Hollowfibre. Rated 5 out of 5 by EWA1 from Warm and washable. I have purchased two of these quilts they are good qulaity and warm. Rated 5 out of 5 by sam97 from A cover for all nights. A nice warm duvet. Not light but too heavy either. Good for all temperatures. Rated 5 out of 5 by Fatty from Great product Bought this as a summer cover and was not disappointed with this product. Rated 5 out of 5 by Jeanlil from Great duvet Very difficult to find lower tog quilts in the shops, so glad I spotted this one as it's the perfect weight for me. Rated 5 out of 5 by jackie27 from Lovely Quilt This is a lovely quilt for this time of year, we were roasted with our Winter one, this is lovely quality and lightweight but still warm enough for the still a bit chilly nights here. Rated 5 out of 5 by Gail from Good and light It is difficult to obtain a 7.5 tog so I was pleased to see this was available and found the duvet to be warm but not heavy.